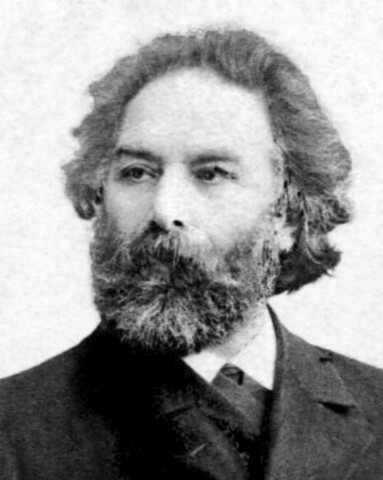 Kuindzhi, Arkhyp [Kujindži, Arxyp], b January 1842 in Mariupol, Katerynoslav gubernia, d 24 July 1910 in Saint Petersburg. 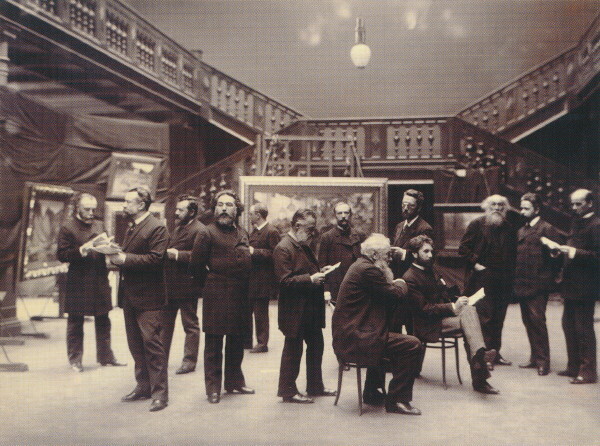 (Photo: Arkhyp Kuindzhi.) 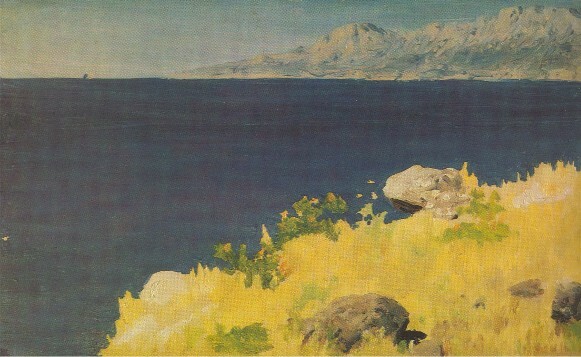 Landscape painter of Greek origin; from 1893 full member of the Saint Petersburg Academy of Arts. 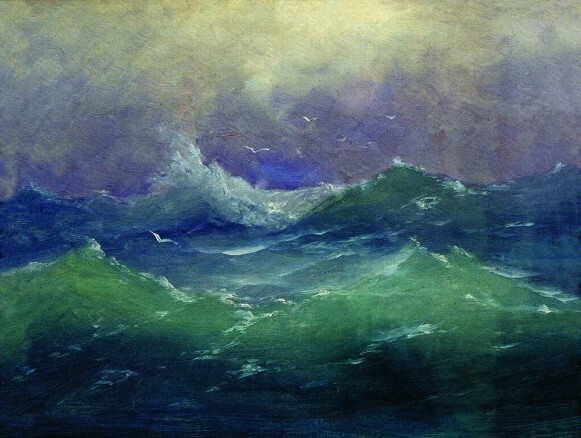 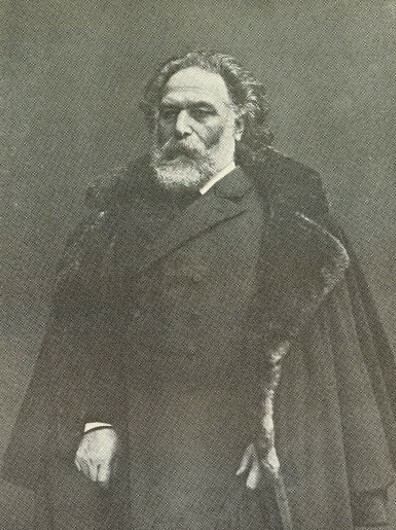 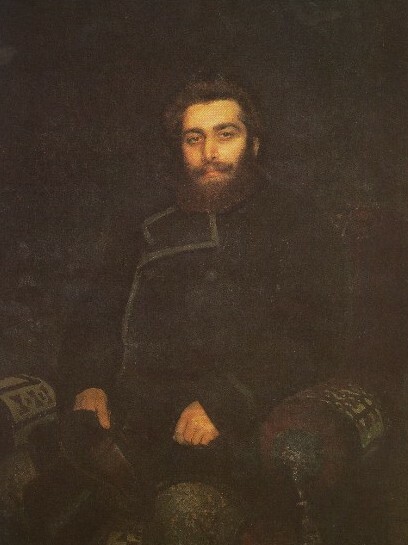 Having studied with Ivan Aivazovsky and at the Saint Petersburg Academy of Arts (1868–72), he joined the Peredvizhniki. 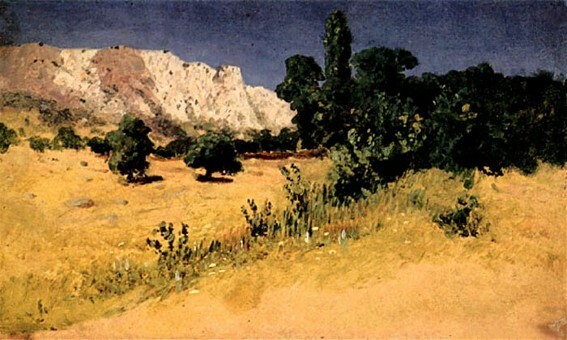 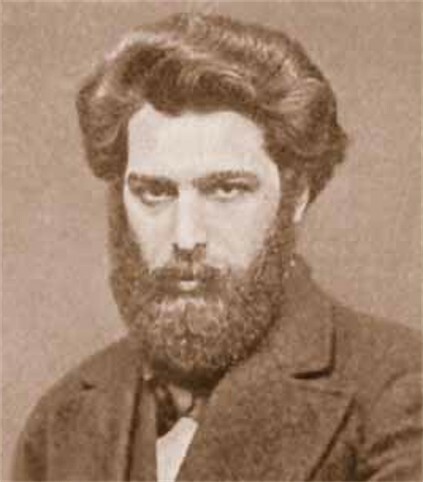 From 1894 to 1897 he directed the landscape painting workshop at the academy, but was dismissed for supporting a student strike. 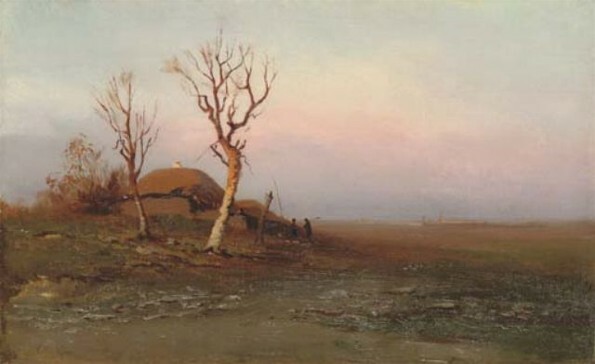 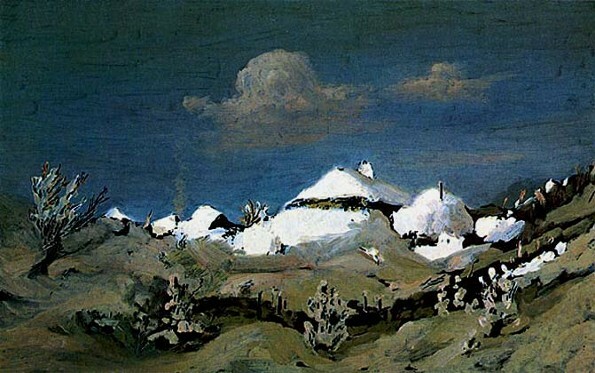 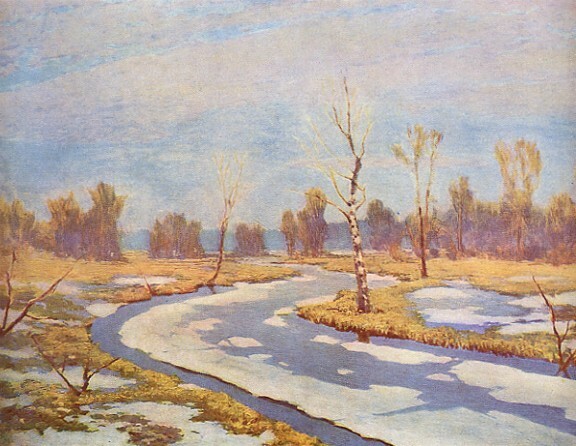 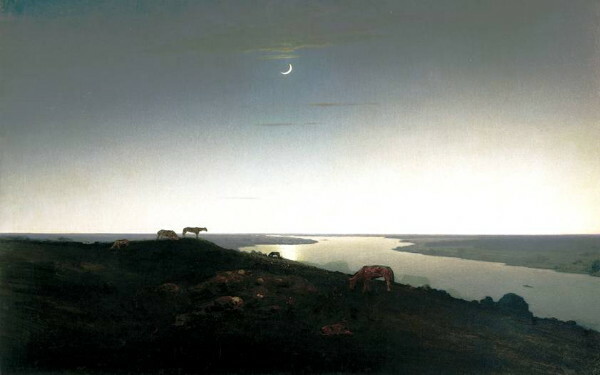 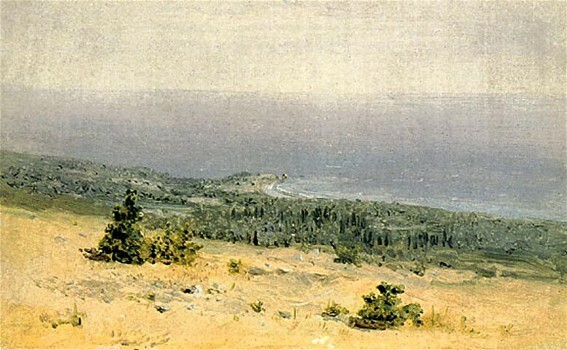 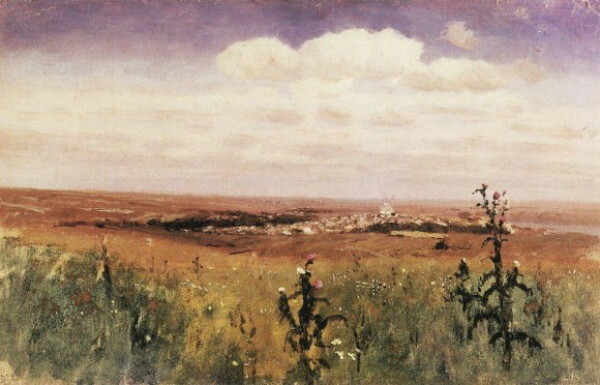 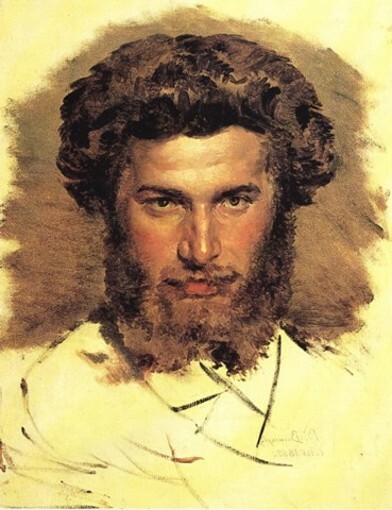 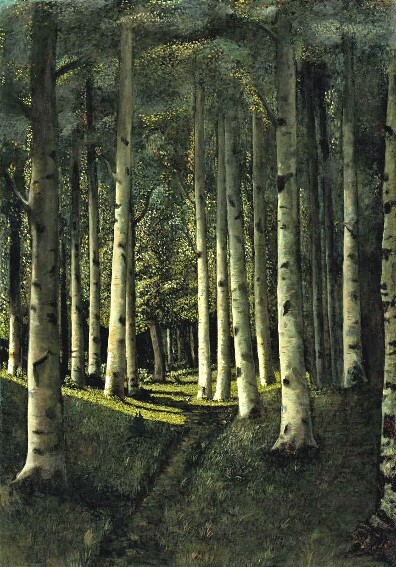 Many of his works depict Ukrainian landscapes: Chumak Route (1875), Ukrainian Night (1876), Evening in Ukraine (1878), Birch Grove (1879), Moonlit Night on the Dnieper (1880), The Dnieper in the Morning (1881), and Cattle in the Steppe (1875). 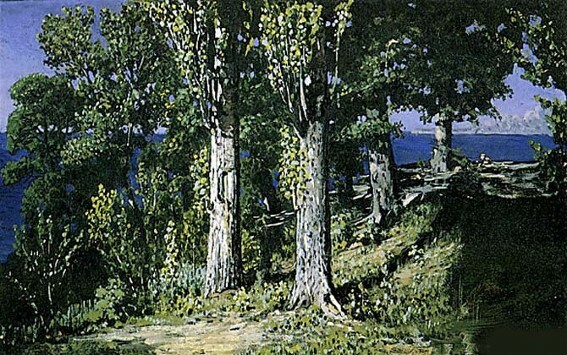 His paintings are noted for the lively play of sunlight and moonlight. 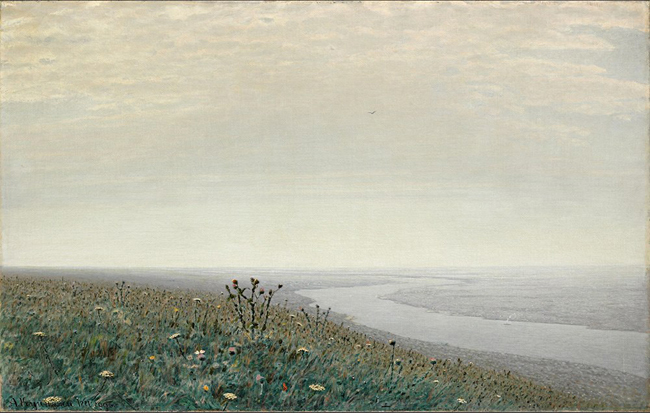 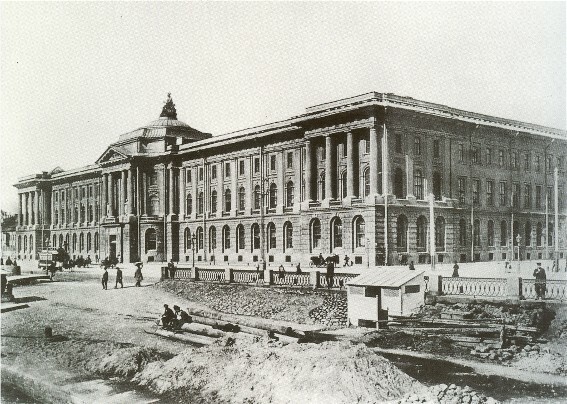 In 1909 a group of artists in Saint Petersburg formed the Kuindzhi Artists' Society, which existed until 1930.